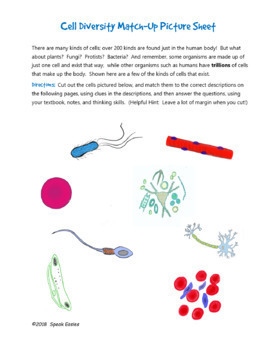 Eight pictures to cut out showing different types of cells along with eight descriptions of their functions and some hints about morphology. 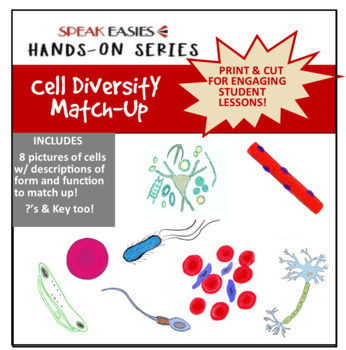 In order to match them correctly, students must read descriptions closely and carefully observe the cell pictures. 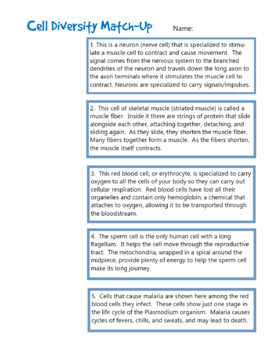 Pictures show some cells found in the human body, pathogens, plant cells, and phytoplankton. 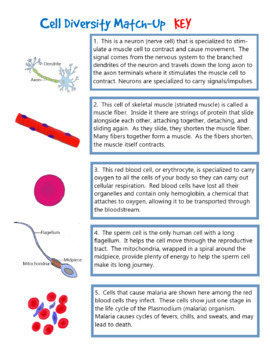 Questions require students to write about how different cell types work together and how form and function are connected. Kit includes answer key and pro tips.